Located in the heart of Costa Mesa, the Segerstrom Center for the Arts neighbors a diverse selection of dining options. Enhance your concert experience by booking a dinner reservation today! Your Pacific Symphony Rewards card entitles you to a variety of discounts and offers at the restaurants listed below. 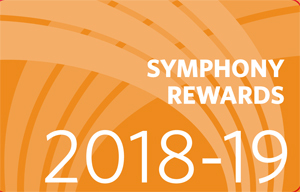 For more information about Symphony Rewards, please contact Christopher Adriance at (714) 876-2370 or email at cadriance@pacificsymphony.org. Never-ending portions of Brazilian grilled meat carved tableside and a make-your-own salad bar. 15% off the total bill. Carefully sourced American fare comes in a chic, modern space with loungelike seating & a hip vibe. Free small plate or dessert with the purchase of two main courses. Classic Northern Italian menu is served in a ritzy space with an old-world Tuscan vibe. 15% off the total bill. Food only. Seafood, steaks & more in a harbor side eatery with featured art, a patio, jazz nights & brunch. Free dessert with purchase of main course. Unique spot for New American fare & drinks, live entertainment & dancing in The Atrium building. Complimentary dessert with the purchase of two entrees. Housed in an ex-book store, this modern tavern serves cocktails, beer & pub grub to a hip crowd. Parties of 4 or more receive a free “snack” (appetizer) with their meal. Happy Hour: 5-6 p.m. and 8-11 p.m. Receive a $5 glass of house wine at George's Café! Cannot be combined with other promotions or discounts. One per person, per visit. Must be at least 21-years-of-age to order. To redeem, please tell your server that you are a participant in Pacific Symphony’s Rewards Program. Quick & casual outpost serving prime rib sandwiches, mac 'n cheese & more inside South Coast Plaza. Spend $30 and receive $5 off your bill. Contemporary, light-filled cafe serving eclectic seasonal fare inside the Segerstrom Center. Receive a complimentary dessert when you dine at Leatherby’s Café Rouge! Cannot be combined with other promotions or discounts. One per party, per table. No cash value. 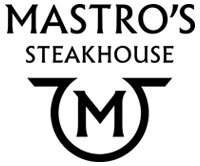 A sophisticated, classic steakhouse with excellence in guest service and distinct ambiance. Complimentary dessert with the purchase of an entrée. One per guest. Not valid with any other offer or discount. Array of creative cocktails plus American small plates are offered at this chic, lounge-like venue. Complimentary dessert with the purchase of 2 entrees. Pizzas striving for Neapolitan authenticity, handmade pastas & more in a narrow, upscale space. Stylish Italian cafe located inside a high-end shopping center & serving pizza, pasta & more. 20% off the total bill. Complimentary flatbread with the purchase of two Entrees. Lakeside eatery serving local cuisine in a sophisticated windowed-dining room with outdoor patio. 20% off bill (excludes alcohol).